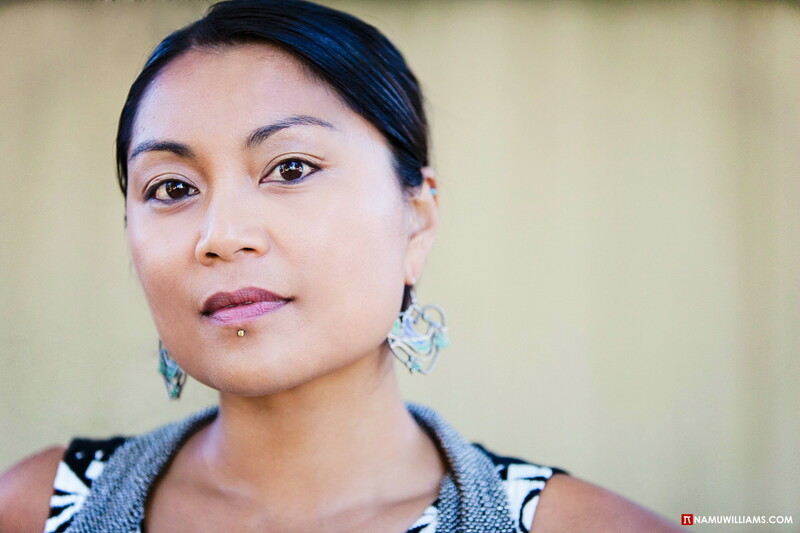 Aimee Suzara is a Filipino-American poet, playwright, performer and educator whose mission is to create poetic and theatrical work about race, gender, and the body to provoke dialogue and social change. Suzara has graced stages nationally, from Florida to Washington, with her dynamic spoken word. Her debut poetry book, Souvenir (WordTech Editions 2014), was lauded as “a powerful meditation on history and the legacies of race, family and identity” (David Mura), and her poems appear in numerous collections, including Phat’itude and Kartika Review. I first began writing when I was quite young – around six. I know many of us begin writing basic things at that age, but my school had a book-writing contest. I mark this as my debut into creative writing: I won the first place in first grade and this landed me attendance to the Columbia Basin Young Author’s Conference. My book was called The Ghost Monkey and I. 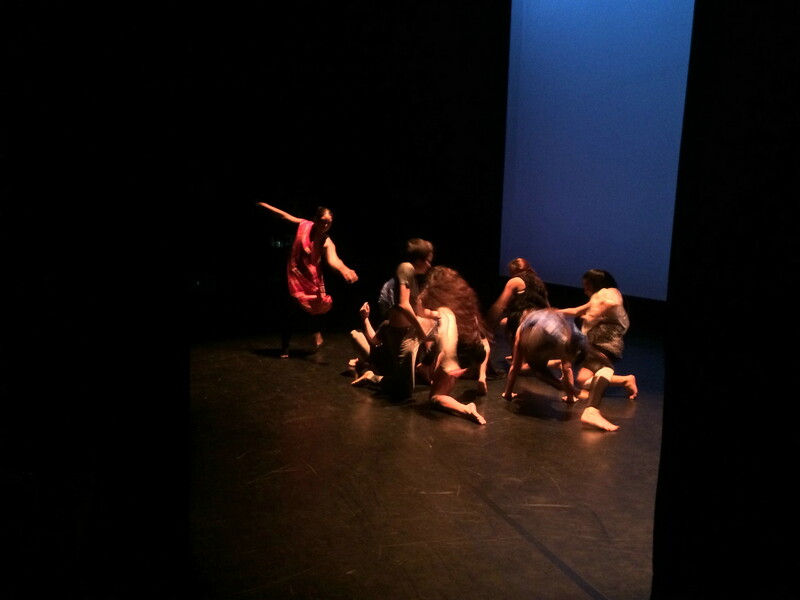 Joining a dance theater collective was a significant break into the performing life for me. In 2001 I became the poet in a group of dancers from Dancers Without Borders. Because this was just after 911, we received a lot of requests to perform at rallies, particularly because our piece addressed the backlash against Muslim Americans. Around the same time, I was beginning to perform a couple of spoken word pieces addressing environmental justice issues in the Philippines. Because of how my work addressed militarism and war themes, I also got invited to perform at non-literary community gatherings. After these experiences getting on stage, I was pretty hooked on performing spoken word, and began developing my “career” as a performing poet. It gave an urgency to my writing practice – it felt I was responsible in some way, as a spokesperson, as a literary journalist, and as an example to other young Filipina writers and poets. 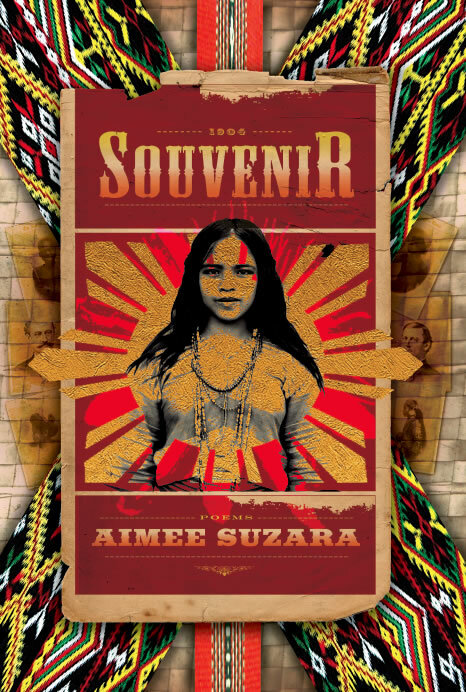 My book, Souvenir, was recently published by WordTech Editions and I’m still touring with it. I’m excited to continue reading from and giving lectures and workshops around the themes and content of the book, and I’ve had the opportunity to bring it around the country, from venues throughout California, Washington, North Carolina, Virginia, and soon, New York. I’m also collaborating with San Francisco State University’s University Dance Theater and choreographer Ray Tadio for a piece developed around my poem “Tiny Fires” from Souvenir. And I’m in the last stages of workshopping my play, A History of the Body, which is going to be featured in a reading through UC Berkeley’s Theater and Dance and Performance Studies program. I work at home, in cafes, while travelling in miscellaneous hotels and airplanes; I work in rehearsal spaces, dance studios, on stages and theaters; I feel I am working creatively while I dream, walk, and dance. I thrive on changing my environment. I most love to find a cozy café somewhere in a new town somewhere in the United States I have never visited, or other countries when I get the opportunity, because I get both the stimulation of a new space and its inhabitants as well as the familiarity of a table, cup of coffee and my computer or journal. I like a schedule that enables me a generous amount of dreaming, gestation, and writing time, along with some structure and accountability. A typical day when I am not teaching may involve a combination of activities, all of which contribute towards the creative process; even reading up on texts I’m teaching can spark something. A great writing day means I begin the day with journaling, sit for a good three or so hours before a break, exercise or dance, and return to the writing. I need physical activity in my creative day. In terms of writing for my print or performed solo work, I do well with an element of surprise; I love prompts that are given to me or picking up found text or inspiration from things I observe. I get in my body often and keep my senses active. Good writing for me comes from the body and evokes visceral response. I am not good at long inactive and unhealthy stretches because I become tired, blurry. I do drink a lot of coffee, though, when I’m working on a solitary writing process. In terms of writing plays, I am a part of the Playground writing pool, which gives us monthly prompts that we write to and submit ten-minute scripts to for selection for the Monday Night Playground at the Berkeley Repertory Theater. I thrive on this measure of accountability, knowing that my work will be read and possibly staged. I also enjoy the often strange prompts – anything from math to the Human Genome Project to Twisted Love. When I’m collaborating with other artists, such as the choreographer and dance company I’ve been recently working with, I really enjoy being in rehearsals, whether I’m moving or performing or just observing. In this case, I had already written the text and the dancers learned the words. I came in to coach them in vocal performance techniques and helped add emotional dynamics to their vocalization. Ray incorporated me as a mover in the piece as well, as this unseen-but-felt ghostly presence. I happened to know some Filipino dance movements which Ray invited me to bring as I performed with the dancers. 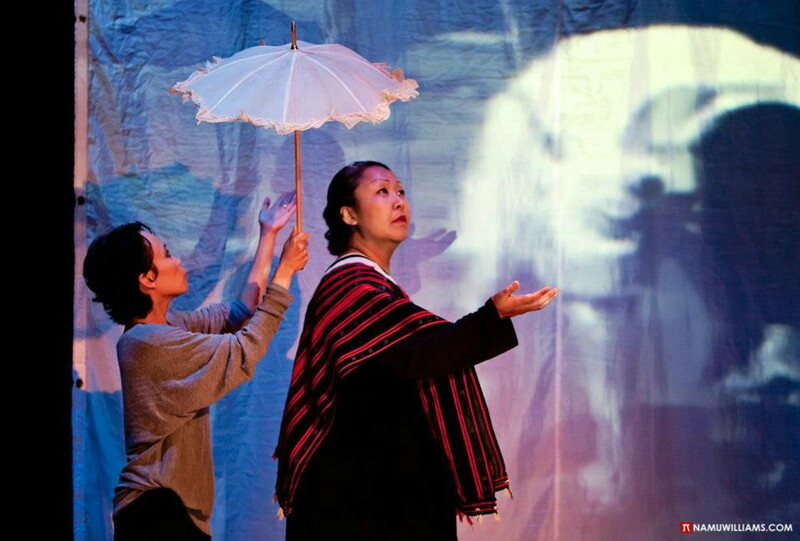 In other cases, such as my work with Deep Waters Dance Theater, I watched choreography to write to, and also provided text for them to choreograph, and performed in a role that was partly scripted by me and partly scripted by the other artists in the group. With dance theater, rehearsals are where the magic happens. I was lucky that as a child, my parents were supportive of my creative interests and a few teachers saw promise in me, whether it was reading and writing, drawing or playing the piano. While I did not understand that this path could become my life purpose or work, I didn’t feel it was getting in the way of my academics or success in life. I did get the sense of being heard by my parents and teachers, even when I felt invisible or unheard in a larger way as a Filipino-American, brown-skinned girl living in many small and large towns and cities throughout the country. But being the outsider also creates the necessary tension for creativity. I found myself the new kid in town, often not fitting in nor finding people who really understood me. So I spent a lot of time alone, especially in my teens, dreaming, writing and meditating – and moping. In that melancholy and lonely space, language became a place of refuge and a place of release. My journals were my safe place and my mirror. These days, I still find that a sense of difference and separation compels me to create. While it contributed to sorrow oftentimes, being on the margins gave me the urgency to tell my story, to be seen and heard – to contribute to the narratives that never included me growing up. I am aware that I am the one who must tell my own story, and I am passionate about helping open the path for others similar to me in any way. I’m inspired by people and places, by my students, by surprising encounters on the street, by movement and dance and music. I’m inspired by other poets and writers, of course, but I think I am a writer of the world more than of books. When presented with the option of swimming in a lake, basking in the sun, travelling or dancing, I choose that over being still and getting lost in a book. I get a lot of my ideas from my own life story, from my history, and from the broader narratives of Filipino history. I spent a lot of time researching the Worlds Fair of 1904 for my book and my play. For A History of the Body, I interviewed women about body image and skin color. I am motivated to write about histories that are lost, less-known or misunderstood, the peoples whose voices may not have been heard. I get inspired to write about and for women of color. I struggle with time. If I could, I’d spend every day writing and performing and collaborating, making new things and presenting them to audiences. Finding the time while needing to earn enough to survive on is a big challenge. I love teaching as well, and my field is not so divergent but teaching is equally an all-absorbing profession. I also struggle with the consistent need to educate and remind and reinforce the value of art; that many of us have been developing this for many years and see it as a profession, not a hobby, and we need, just like everyone else, to earn money, pay rent, eat, have health insurance, perhaps raise families. Somehow there are still many people who think it’s a privilege to write or something one does voluntarily and without compensation. And then there’s the real challenge of cuts in the arts. Our society forgets how essential culture-making is to every other aspect of our lives. I am aiming to have my first full-length theater work professionally premiered, while writing a new play or two. My goal for this year is to write a new draft of a play. I have written several short plays which have not been produced, so I plan to revise and submit them to theaters. I also plan to start my next poetry book this year. Lastly, I hope to lay down some audio tracks, hopefully with musical collaborators I have been in conversation with. In the literary world at large, I’d like to see more variety in what is published, especially for women of color. At times, submitting to publishers feels like auditioning for a handful of casting directors whose aesthetic does not include my style, my content, my identity. I hope to see more women of color in publishing too, as well as more expansion in the reflection of LGBTQ and multilingual and multicultural and hybrid literatures. In time, we won’t feel like we’re still pushing from the margins to the center. Also, I would like to see the validation of performance poetry as a practiced art and more embracing of this form within the literary world. I often find I am trying to help define a space between poetry-for-the-page and slam poetry – in this space, I feel a poet is like a musician: dynamics and nuance and sound are as particular as notes in music. Few, including those in the literary world, know how much rehearsal someone may put into the performance of a poem. There is still sort of a hierarchy in terms of what’s seen as real “literature” and often performed work gets placed lower on that ladder. But many of us treat the page and the stage or the body with equal measure, and the art is not only in the words, but in these acts of translation, in the expression and even improvisation.